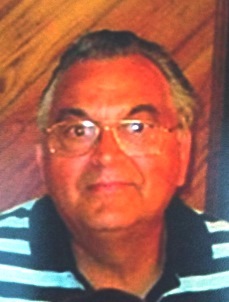 James P. Bernier, 75, of Paul John Ave., passed away unexpectedly at his home on January 14, 2019. He was born at home in West Kennebunk on July 5, 1943, son of Victor and Elsie (Hamel) Bernier and graduated Kennebunk High School. Jim was in the Oil Delivery and Service business his entire life. In 1968, Jim began a 20 year career with B. F. Emery, then worked for Dresser Marsh, Union Oil and Dead River Company. He was a hard worker who was dedicated to taking care of his family. Jim was a life time collector of many unique items, especially coins and stamps. No yard sale or free sign went unnoticed. If it was a good deal, Jim bought it, even if he didn’t really need it. He lugged home every tool known to man- kind, sometimes in triplicate. That collection came in handy over the years in his workshop where he was jack of all trades, master of none. Jim tinkered with plumbing, electrical and mechanical and really enjoyed woodworking. His one of a kind nature, kindness and humor will forever be missed. Jim was pre-deceased by his brothers, Robert, Raymond, Donald, Paul and Douglas Bernier. He is survived by his wife of 53 years, Lora (Barrett) Bernier; 2 sons, Mark Bernier and Shane Bernier and his wife Tracy all of West Kennebunk; 2 daughters, Lucinda Williamson and husband Mark of Kennebunk, Michelle Cooper and husband Jeff of Kevil, KY; 2 sisters, Gloria Sandra Bernier of Standish, Carol Ann (Bernier) Feeney of Old Orchard Beach; 6 grandchildren, Jason Breiding, Sr., Michael Breiding, Sr., Brandon Dubois, Vanessa Williamson, Coral Bernier, Nathon Bernier; 10 great-grandchildren, Samara, Damien, Shelby, Lucas, Michael, Jr., Jason, Jr., Lilly, Tony, Delilah and Destiny; numerous nieces, nephews and dear friends.